Community Corner: New Business in Patterson Village - SunDoctors & Patterson Village On Facebook. Post your overseas parcels early for Christmas to take advantage of savings offered by Sea Mail. To calculate parcel rates use the link on www.pattersonroad.com.au to the Australia Post Postage Calculator. Our Post Office trading hours include early morning trading and late closing. We are open all day Saturday and on Sunday Mornings, so there's plenty of opportunity to get your sea mail parcels on their way early for Christmas. If you want the flexibility of depositing cash straight into your betting account, Ladbrokes Cash-In is perfect for you. In just a few seconds, you can deposit cash into your Ladbrokes account at Patterson Road Tatts, News & Post with either your smart phone, desktop computer and printer or a pre-paid card that can be purchased in store! Joining Patterson Village is the new business SunDoctors located at 116 Patterson Road. The new clinic is committed to providing its patients with exceptional skin cancer diagnosis, treatment, prevention and education. 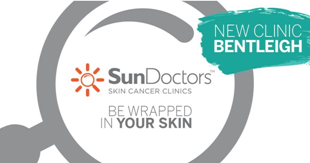 SunDoctors are there to help with any skin related concerns you have. Consultation, examination and treatment are all undergone by their specialists dedicated to the discipline of skin and skin cancer treatment. Keep up to date with all the happenings in our local community with Patterson Road Village on Facebook at www.facebook.com/pattersonvillage. 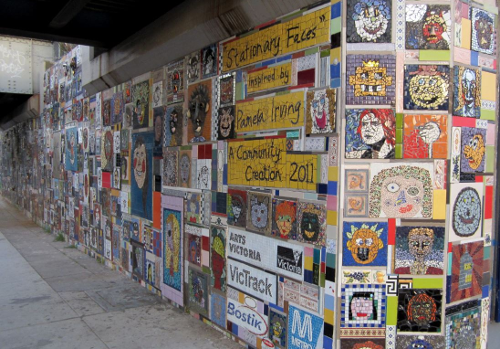 It’s a great way to find out about your local community events such as the recent Stationery Faces Clean Up Day.